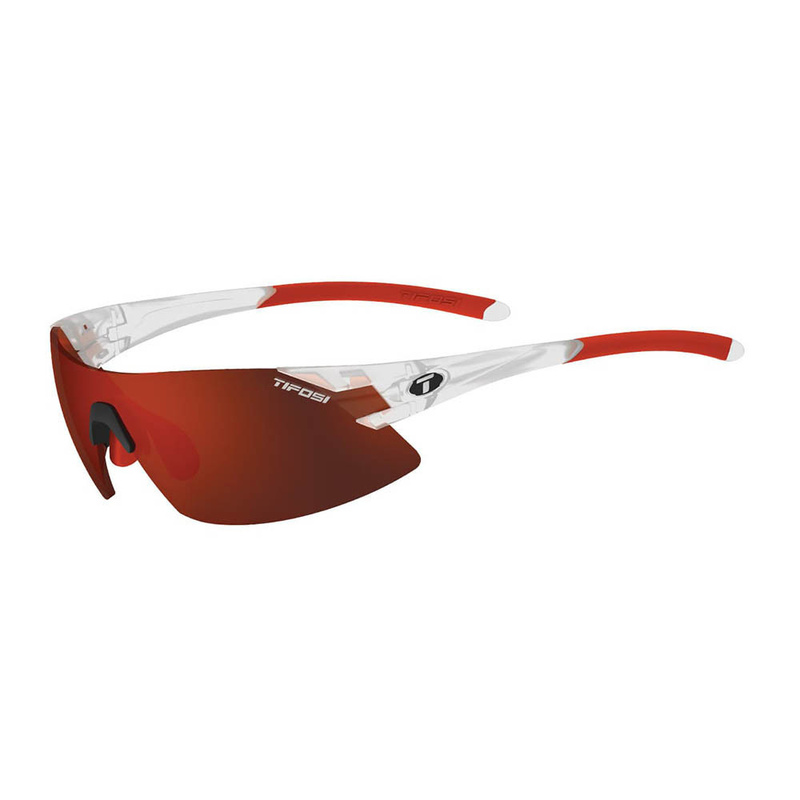 The Tifosi optics sunglasses provide full coverage when you're playing in the outdoors. These stylish sunglasses feature de-centered shatterproof polycarbonate lenses to virtually eliminate distortion, give sharp peripheral vision, and offer 100% protection from harmful UVA/UVB rays, bugs, rocks, or whatever comes your way. Lens installation/removal is fast-and-easy. This is the technology to choose if you enjoy spinning down the open road, jogging to your favorite beat, or flying through the shaded woods. Dial in your Tifosi interchangeable sunglasses with Light Night Fototec Lenses that have the widest range of transition, are color neutral so the tint won't distort colors and are perfect for sports activities involving low and high light conditions. Fototec lenses with variable tint technology adjust rapidly to changing light conditions for superior clarity and protection. In bright sun, microscopic photochromic particles embedded in the lens react to UV rays, darkening the optics so you'll never squint. With cloud cover, the particles return to their previous state, letting through more light. Tifosi's Fototec lenses are market leaders because of their lightweight, durability and incredible speed. The Podium Sunglasses Frame is made of Grilamid TR-90, a homo-polyamide nylon characterized by an extremely high alternative bending strength, low density, and high resistance to chemical and UV damage. The Podium has hydrophilic rubber ear and nose pieces for a no-slip fit. The sunglasses weigh 0.95 oz. (27 g). 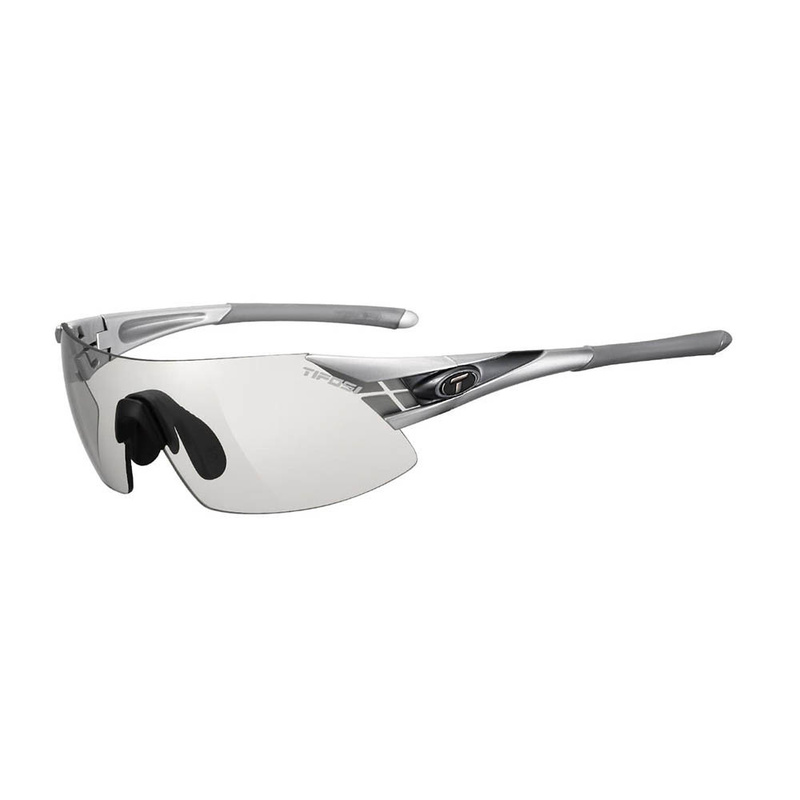 Sunglasses have adjustable ear and nose pieces for a customizable, comfortable fit. The Tifosi Podium Sunglasses are designed as an Asian fit of small to large faces. Tifosi Sunglasses come with a storage bag and case.